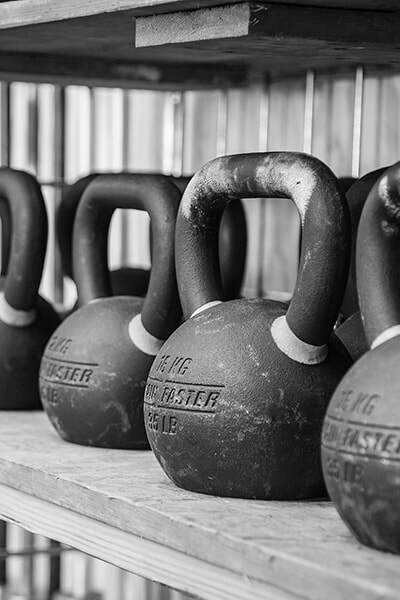 There is arguably no better way to achieve a base of fitness than through CrossFit style exercise, and our group training sessions will meet the overall fitness needs of most people. Still, we recognize that group sessions are not the ideal solution for every person and every situation. For those who are new to MachineLab CrossFit style workouts, heading straight into group sessions may seem overwhelming. Personal training can be a good way to learn the exercises and ensure you are performing them correctly. If you're just getting back into a fitness program, are entirely new to exercise, or feel that you have special needs that require personal attention, personal training can provide the additional instruction you need. Sometimes, personal training can provide the specialized attention necessary to excel in a particular sport. MachineLab clients have competed in everything from team, endurance, and strength sports to martial arts and more. Our specialty is in activities that demand a high level of “functional” fitness and metabolic conditioning – sports where speed, strength, endurance, and agility all matter. If you feel you need a “jump-start” before you begin group sessions, have very specific fitness goals, play a competitive sport, or just feel the need for more personalized instruction, personal training may be a good option for you. ​If you would like to schedule a personal training session, please submit the form below in order to start the process. Personal training sessions may be in advance or at the start of each session. Please give 24 hours notice if you must cancel or reschedule a personal training session. Without 24-hour advance notice, you may be charged for missed sessions.